ENJOYING Queensland’s pleasant weather this week, power couple Lauren and Shane Tritton are hoping for a warm reception at Albion Park on Saturday. 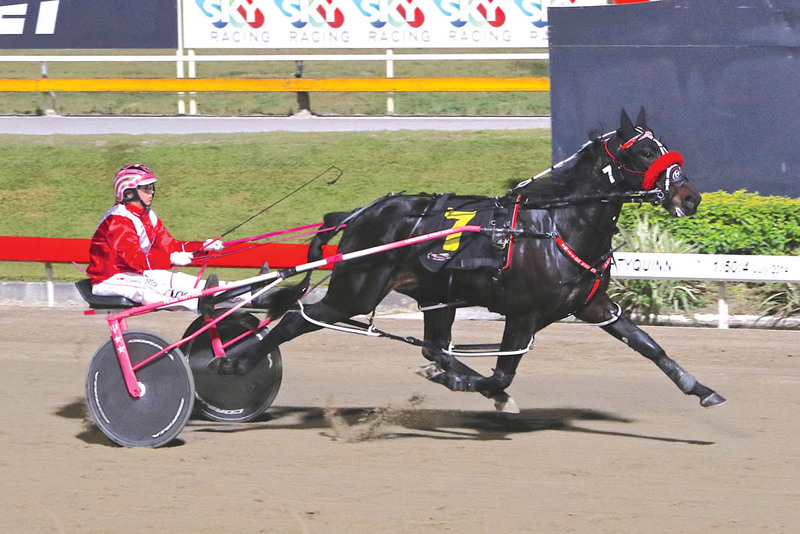 The duo are set to contest the Australian Pacing Gold Brisbane Sale Final with Muscle Factory, which is the short-priced favourite from his wide draw. Winner of his heat at the same venue last weekend, Muscle Factory will begin from the outside of the front row. Despite the two-year-old’s tough starting position, Shane is positive Muscle Factory can add the Group One to his impressive record. The son of Roll With Joe has won four of his eight starts, with three placings also to his credit. “He has pulled up super from his heat and everything is moving along nicely,” Tritton said. “He needed that run in the heat as he hadn’t one in a while. Citing Victorian filly For All We Know as the one to beat, Tritton expects Miss Moneybags to improve from a favourable draw. Prepared by Brett Bunfield, For All We Know also won her heat, which followed a second in the Qbred Final at her previous start. Triumphant in the nation-wide APG Consolation last April, the daughter of Art Major has drawn gate two. Fourth behind Muscle Factory in her qualifier, Miss Moneybags will begin from the pole to local horseman Grant Dixon. The daughter of Mach Three is one of four runners Dixon has engaged in the $100,000 feature. Dixon will also be represented by Saint Kilda Beach, Sea Hawke and Bettor Because. “For All We Know is a nice filly, which has proven she is Group One class against girls, is the one to beat here,” Tritton said. “The saying tells us ‘a good colt will beat a good filly’ but For All We Know has to be given respect.